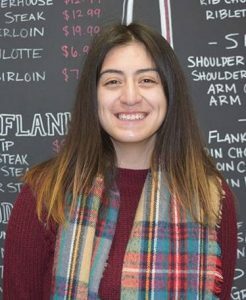 Debbie Machuca has been chosen to receive a Dennis R. Buege Meat Science Scholarship. Muchuca was awarded a $1000 scholarship and a plaque during the Wisconsin Association of Meat Processor’s Spring Convention banquet on April 6. Machuca grew up in the inner city of Chicago. She is a Dairy Science major at UW-Madison. During the past 3.5 years, she has assisted with slaughter, fabrication, and processed meat manufacturing in Bucky’s Butchery. She has been active in the Badger Meat Science Club. Debbie has further demonstrated her interest in the meat industry by attending a number of conferences and trade shows (Reciprocal Meat Conference, AAMP, Processing Exposition). Debbie is particularly proud of having won the AAMP Reserve Grand Champion for her Spicy Summer Sausage. She interned at Jack Link’s in New Glarus and has an internship planned at Johnsonville for this coming summer. With assistance from Dr. Claus, Debbie wrote a proposal to the Cargill-Benevenga Undergraduate Research Scholarship program which was funded that enabled her to conduct research associated with assessing the chemical and physical properties of smoked, cooked boneless hams. Debbie is currently at Wageningen University in the Netherlands studying abroad. Debbie has maintained an impressive academic record and plans on pursuing a M.S. degree after she graduates. As you might have heard through the grapevine, Dairy Science is in preliminary discussions with the Department of Animal Sciences regarding a potential merger. The initial impetus for this discussion was a request by Dean VandenBosch, on recommendation of the College of Agricultural and Life Sciences Redesign Committee, to consider the pros and cons of an Animal Sciences / Dairy Science merger. This decision will ultimately be made by the faculty members in the two departments. Why consider a merger? There are several potential benefits to the departments, and I will mention two specifically. First, we already share a building and administrative (financial, human resources, and IT staff), and we cross-list and co-teach our core courses in nutrition, physiology, and genetics, so the two departments are highly interdependent. Going forward, we may be able to meet the needs of our students and stakeholders more effectively by joint planning and intentional collaboration, rather than working side-by-side and hoping for the best. Second, and most important in my mind, is the issue of “critical mass” in key disciplines or subject areas. A perfect example is the area of milk quality, where Dairy Science literally went from an internationally recognized program to no program at all overnight, when Dr. Pamela Ruegg left to become department chair at Michigan State. This “one-deep” expertise strategy is not sustainable, and we need strong groups of professors in each of the traditional disciplines such as genetics, nutrition, meats, and physiology, as well as emerging areas such as data science and animal welfare. Why now? The majority of faculty members in Animal Sciences and Dairy Science were hired in the 1980s, so we are beginning a period of enormous turnover. As we make decisions about how to position our departments for success over the next thirty years, now is the time to determine whether to do this individually or jointly. How will our students be impacted if a merger occurs? Not that much, honestly, at least in the short-term. Any changes in our undergraduate majors are a few years away, because by rule we cannot change the curriculum requirements for students once they’ve enrolled at UW-Madison. In the long-term, we will still have a major that serves the needs of science-oriented students with interest in becoming a veterinarian, nutritionist, or reproduction consultant. Similarly, we will have a major that serves the needs of business-oriented students with interest in careers in dairy management and dairy-related agribusiness roles such as sales, marketing, and finance. Exact names and course requirements are yet to be determined, but if we do this properly we can meet the needs of our students much more effectively in the future than we do today. What about our stakeholders? This is obviously a huge concern, especially for Wisconsin’s $43 billion dairy industry. Again, if we do this properly, we should be better positioned to meet the needs of our key stakeholders in the future than we are today. A huge risk, if we decide not to merge, is spreading ourselves too thin by trying to cover all disciplines and all species – neither UW-Madison nor any other land-grant university can do this successfully. We need to specialize and focus on the things that are most important to Wisconsin, and this strategic planning will take place throughout most of 2019. What’s the process? Now that both departments have “decided to try,” by voting to work toward development of a formal merger proposal, the hard work begins. Five interdepartmental groups have been formed to cover the key issues and decisions. These working groups will meet biweekly over the next six to eight months to discuss options and strategies, and during the summer we will seek input and feedback from our students, alumni, and stakeholders. By late fall we hope to pull all of the recommendations into a formal proposal, and if this proposal is approved by both departmental executive committees, it will be submitted to college and campus administrators and governance committees for their review. The overall process will take 18 to 24 months, so if we ultimately decide to merge, the earliest it will actually occur is mid to late 2020. We need to be very thorough in our planning and discuss all of the pros and cons both internally and externally, because if we decide to merge we need to get it right. So, if you’ve made it this far, I hope it gives you a clearer picture of what we’re considering and why. Please don’t hesitate to reach out to me or other members of our faculty and staff if you have any questions or concerns. We look forward to sharing more concrete plans with you in late summer. When Rob Rippchen left home to attend the University of Wisconsin-Madison in 1991, he figured it would be a round trip. Rippchen was right that earning a degree from one of the world’s premier dairy science programs would have been a great way to prepare for a career in the dairy business. But in his case, it turned out to be a good way to prepare for a job—actually, for a variety of jobs—that aren’t connected to cows or milk. 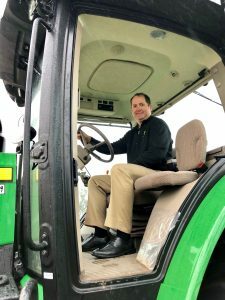 Rippchen has spent the past two decades working in sales and marketing for John Deere. During that time, he has worked across much of the U.S. and on the other side of the world, and worn many different hats. His first job was in the northwestern U.S. helping to launch a new line of hay equipment. Next he was a territory manager in Oregon, an area dominated by nursery stock and grass seed production. 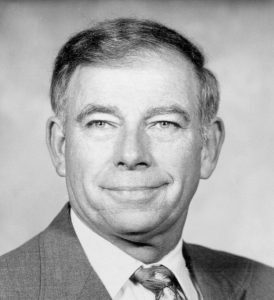 Then he worked in dealer development, first in Reno, then Kansas City, helping dealers improve efficiency and service and grow their businesses. During three years in Moline as division marketing manager in the U.S. and Canada for seeding equipment, he helped develop a 120-foot row crop planter that can cover over 700 acres per day. Then he went to Singapore to take charge of dealer development leading a team that recruited new dealers and developed existing dealers across Asia and Africa. 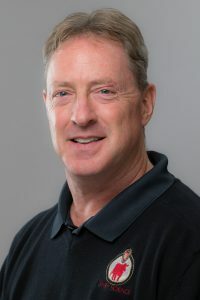 He is now based in the Chicago area and serves as a division sales manager in charge of ag and turf equipment sales for Illinois and Wisconsin. Interestingly, it was his dairy science advisor who gave him the first nudge toward a career outside of the dairy business. He also draws on leadership skills he developed through student activities, such as chairing the Badger Dairy Club’s big cattle sale. “It taught us how to plan and execute a large-scale event. I learned early on the power of teamwork and that successful leaders empower their team,” he says. And he makes constant use of critical thinking skills he honed in collegiate dairy judging, in which he had to work against the clock to evaluate and rank groups of cows and then explain his decisions to contest judges. Rippchen’s story offers a useful take-home message for prospective student, says Kent Weigel, UW-Madison dairy science department chair. Choosing a major doesn’t box you into a career. As it turns out, while Rippchen’s career took him far from home farm and away from the dairy business, in the end it brought him full circle. “The dairy sector is a huge portion of our business in Wisconsin, being able to relate to customers and understand why equipment uptime is so vital to dairies seven days a week has helped me in my current role,” he says.